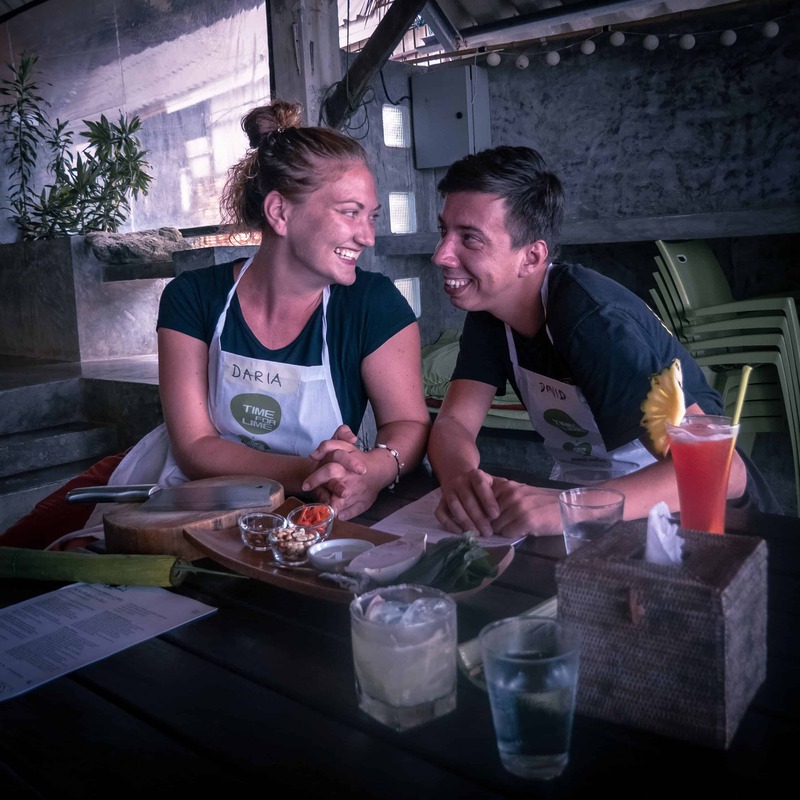 To us, travel is not just about seeing the beautiful places across the planet, but at least as importantly about connecting with other people, their culture and life stories. 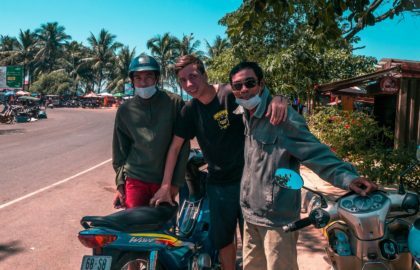 Backpacking Southeast Asia on our career break has been an amazing opportunity to meet the locals and fellow travellers. We have connected with some wonderful people. These blog post series are about these people and their stories. Meet Hung Nguyen - a deceptively shy, yet undeniably charming and determined 27-years-old young man in Danang, Vietnam. 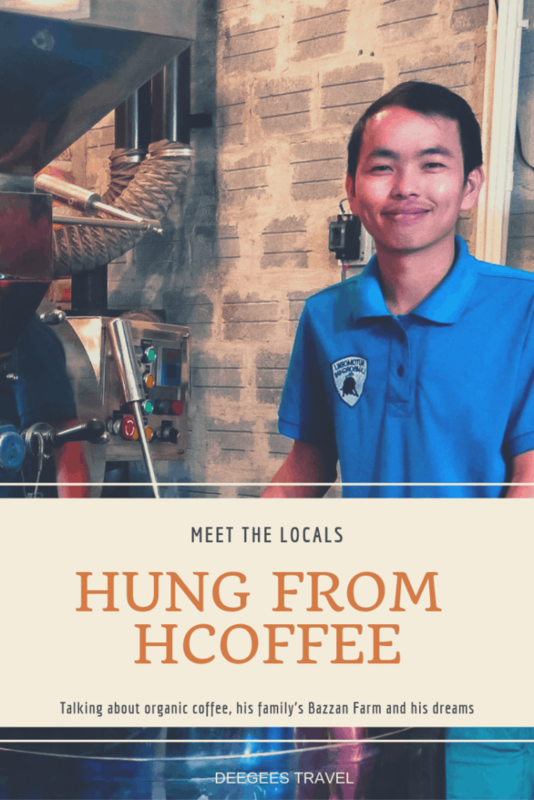 Hung has recently opened his own coffee shop called H Coffee serving organic coffee coming directly from his family’s Bazzan Coffee Farm in Gia Lai, Vietnam. 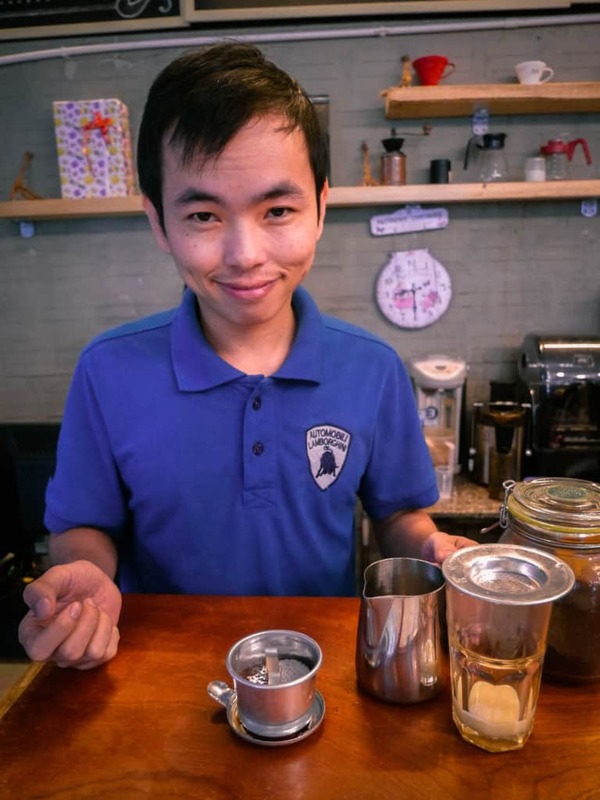 Sometime between working on his MBA, running a coffee shop, roasting coffee and launching a new website, Hung has found the time to sit down and talk to me about Vietnamese coffee culture, his family and their coffee plantation as well as his personal dreams and aspirations. DG: Hung, let’s start at the very beginning. 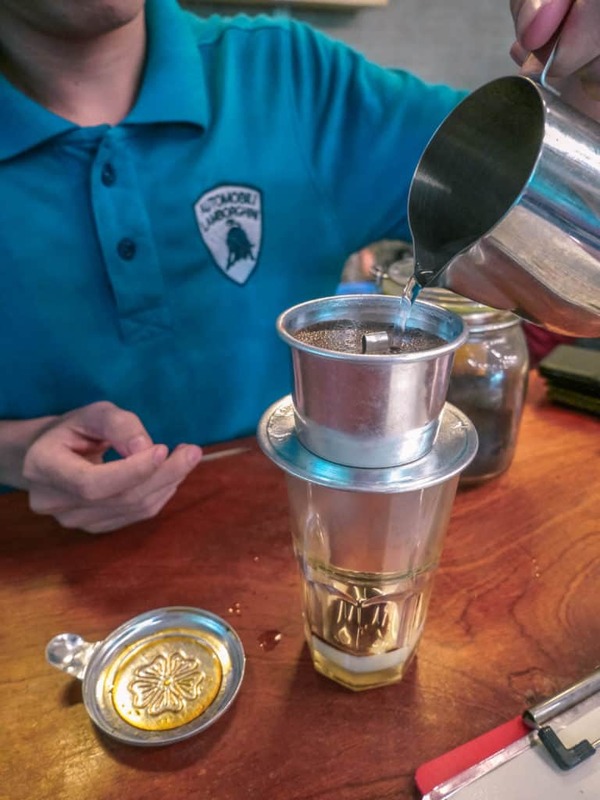 How comes Vietnam has such a strong coffee culture? Hung: In the mid-19th century, during the colonial period, the French introduced coffee in Vietnam. Although back then it was a new drink in Vietnam, we had quickly adopted it and made it our own. 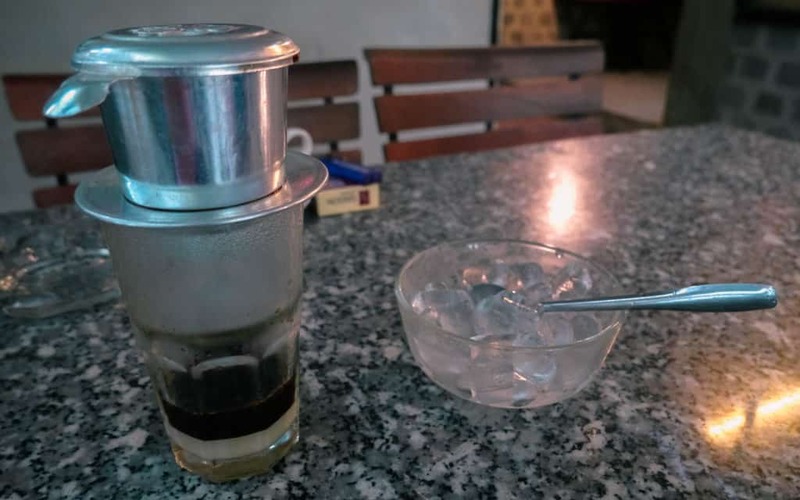 Now the Vietnamese coffee culture is so strong, virtually everyone drinks coffee. It’s a significant part of our social life. Something most people don’t know is that Vietnam has also become the second biggest coffee producer worldwide (after Brazil). DG: What makes a Vietnamese coffee so special? Hung: Vietnam mostly grows Robusta beans (ca. 95%) which are much stronger in taste than Arabica. Robusta beans are mostly used in café crema, espresso and alike, whereas Arabica is used in lattes and cappuccinos. Vietnamese coffee is a common ingredient in instant coffees worldwide. 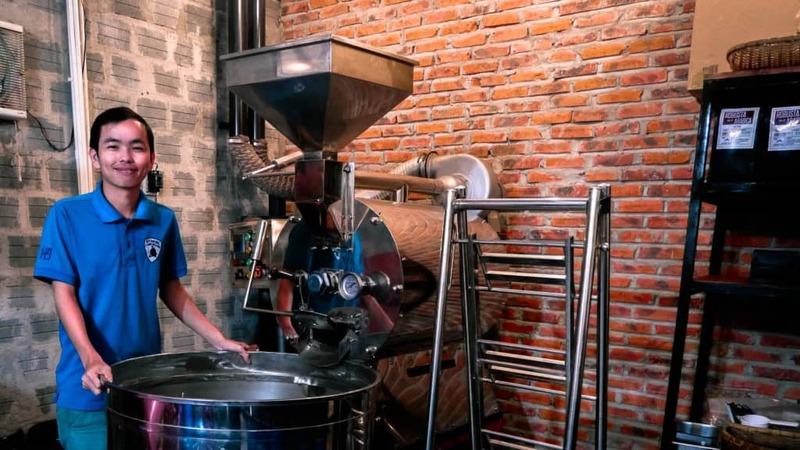 However, recently Vietnamese coffee culture has been reinventing itself with the appearance of smaller organic plantations like my family’s one, aiming to produce higher quality coffee beans. DG: What kind of coffee beans are used in the famous traditional Vietnamese coffee (Ca Phe Sua Da)? Hung: Robusta single origin. It has high caffeine content which causes a very bitter and intense taste. The bitterness of Robusta is the reason why traditionally coffee in Vietnam is served with condensed milk – to add fat, sweetness and fragrance, thus balance the taste. DG: Is that your favourite way to drink a coffee as well? Hung: Actually, my favourite coffee is Americano as it is a bit lighter. Ok, I’ll share my secret with you - I don’t drink much coffee (*Hung laughs*). It makes me so agitated, I can’t sit still. I do love working with coffee, roasting it, smelling it, but when it comes to drinking it’s maximum a cup a day. DG: That’s funny. If you’re not a big coffee drinker, what motivated you to open a coffee shop? 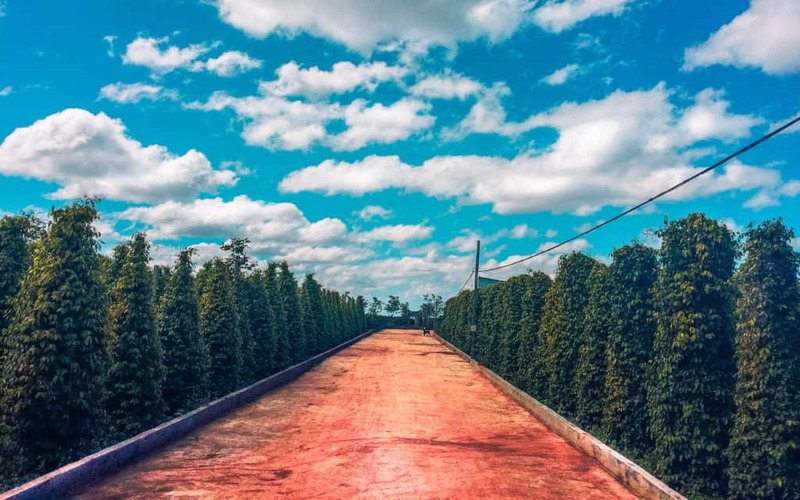 Hung: My family started Bazzan Farm and growing coffee in 1986 and has been doing it ever since. Everyone in the family is involved and contributes their own part. 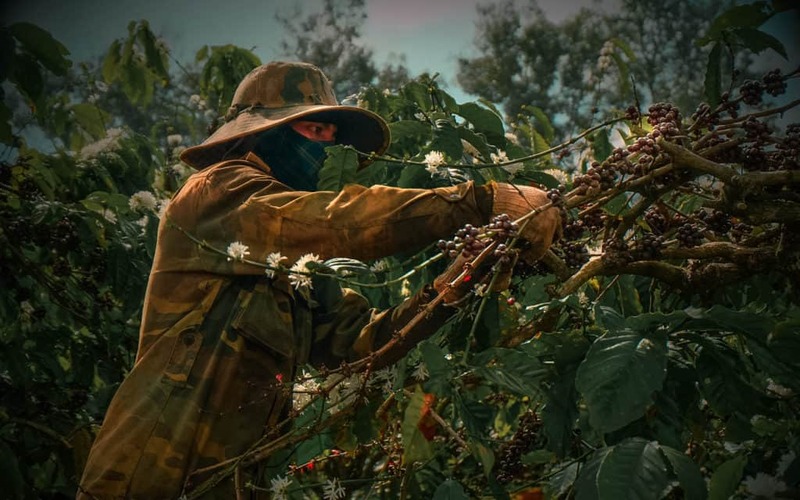 I have seen how much love and effort my parents have put into growing the coffee plantation, how much pride local coffee farmers take in their product and thought the world had to know about it. This is also why I started my MBA – to get the necessary tools to connect my parents’ coffee farm with people across the globe. 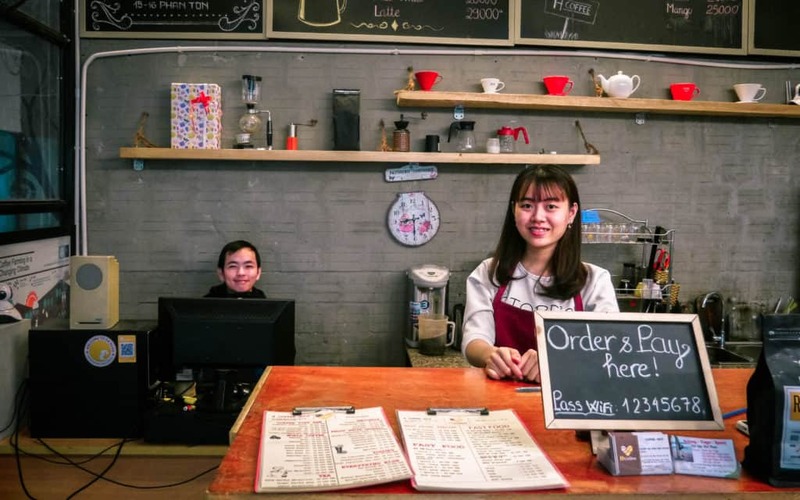 Opening a coffee shop in an international city like Danang was one of the ways to come one step closer to realizing this vision. DG: Very courageous to be doing an MBA and starting a new business at the same time! What are some of the other steps you have in mind then? 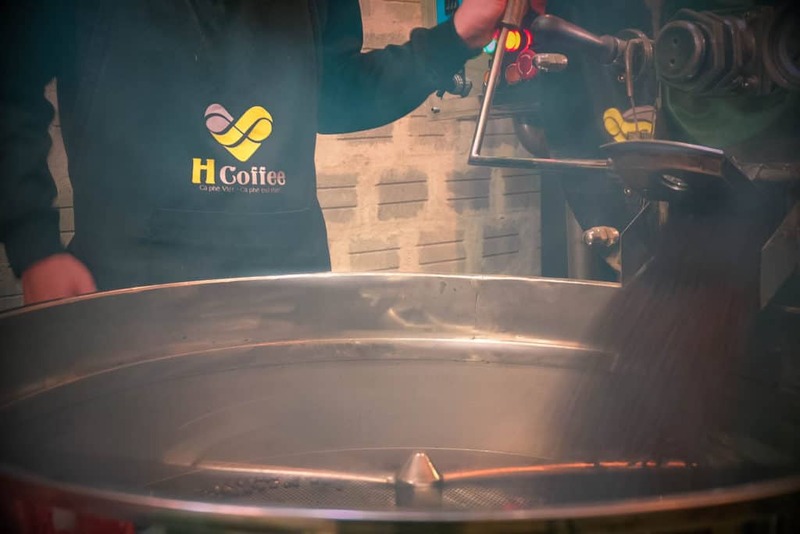 Hung: I would really love to connect with international wholesalers and introduce the world to the coffee in Vietnam. Of course, particularly to my family’s organic products. I hope with our coffee shop, the website and the online store I can achieve this. DG: Wishing you all the best of luck! H Coffee is doing great – it has outstanding reviews on TripAdvisor and Google Maps and from what I can tell by simply being here a couple of times – a loyal local clientele. Congratulations! Who are the people who typically come to H Coffee? Hung: Thank you! (*Hung smiles timidly again but this time with pride in his eyes*) We attract a wide range of people – locals, expats, tourists. 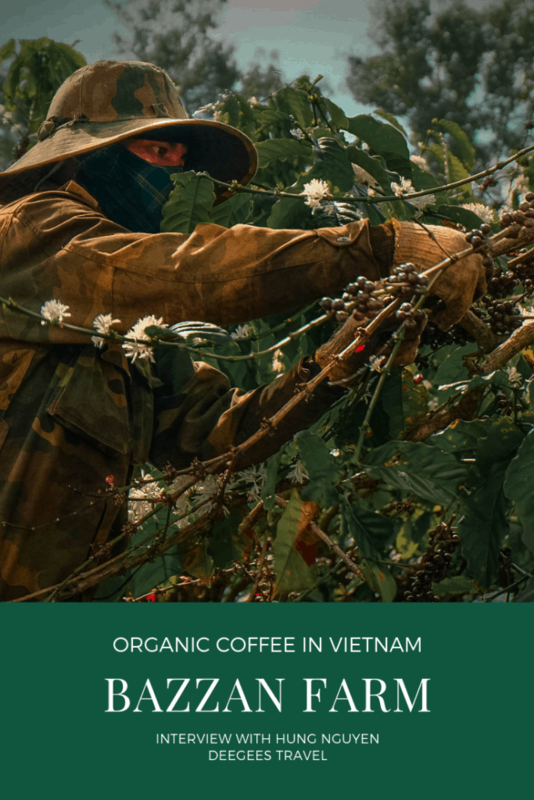 Anybody who appreciates and is looking for a healthy and delicious organic coffee in Vietnam. I truly believe we have something interesting to offer to coffee connoisseurs and occasional coffee drinkers. DG: I agree! I also have a feeling that the fact that you’re roasting coffee beans directly in the coffee shop contributes to its excellent taste. Can you tell me more about it? Hung: Of course (*Hung smiles timidly*). I wanted to make sure we serve the freshest possible coffee in Vietnam in our shop. To achieve that I knew I had to roast coffee beans directly in the shop. I watched a lot of coffee roasting YouTube videos and visited coffee roasteries across the country to learn the process. Every weekend night I spent at the coffee shop trying and trying until my roast started to taste the way I wanted. It was a long process, but I am very happy with the results. DG: Now that’s what I call determination! Wow. Your family must be very proud. Speaking of which, is it possible to visit your family’s coffee plantation? If so, what’s the best time to do so? Hung: Of course, you can! 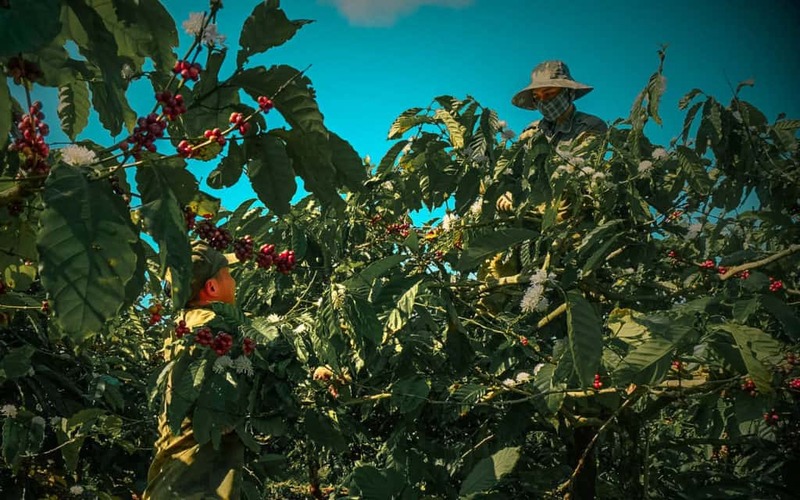 We would be very happy to welcome you at the Bazzan Farm and tell you more about the process of growing and harvesting coffee in Vietnam, about every step from a seed to the coffee in your cup. We are passionate about what we do and would love to share our passion with anybody visiting us. We start the planting process in the rainy season. When the soil is wet, and the air is humid, not too sunny – it’s the best condition for the coffee roots to grow. Depending on the species of coffee, the harvesting time varies, but usually after two or three years the tree starts to bear fruits. Usually, a coffee bean is as small as a cherry. When a coffee bean turns dark red or yellow, depending on the species, then it is the right time for the ripe coffee bean to be harvested. Harvest season usually lasts from October to April every year. We typically gather local farmers and start the harvesting process together on our Bazzan farm. This is also the best time to come to visit, meet the locals and have your authentic coffee in Vietnam. 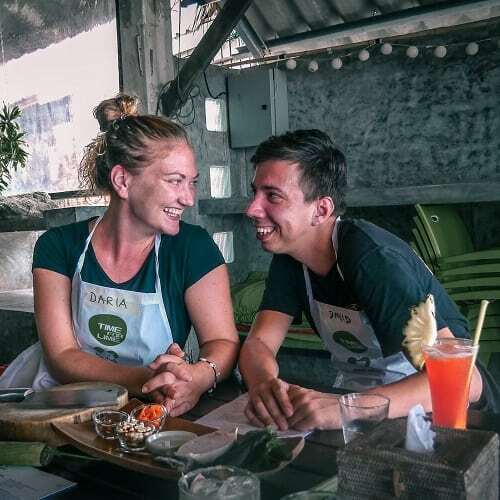 Need a break from Hoi An or stopping over in Danang after crossing over the Hai Van Pass? If you’re in Danang and looking for some authentic coffee in Vietnam, make sure to visit Hung in H Coffee. Not only is the coffee served here delicious, but the team working here is also very friendly and the atmosphere extremely cosy. The place is also great for digital nomads – affordable coffee and snacks, strong wi-fi, multiple sockets and comfortable tables. 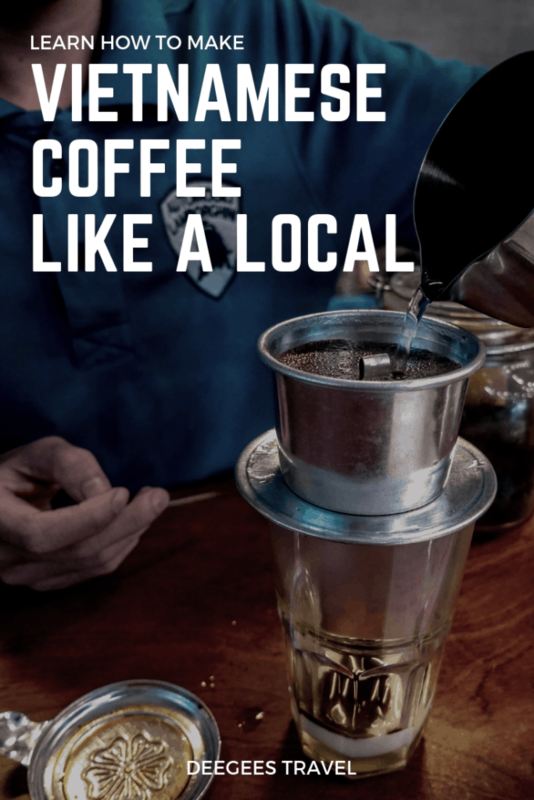 I have spent a couple of days at the coffee shop working on my blog while on the mission to try all sorts of coffee types served (I failed, but the experience was great nevertheless). 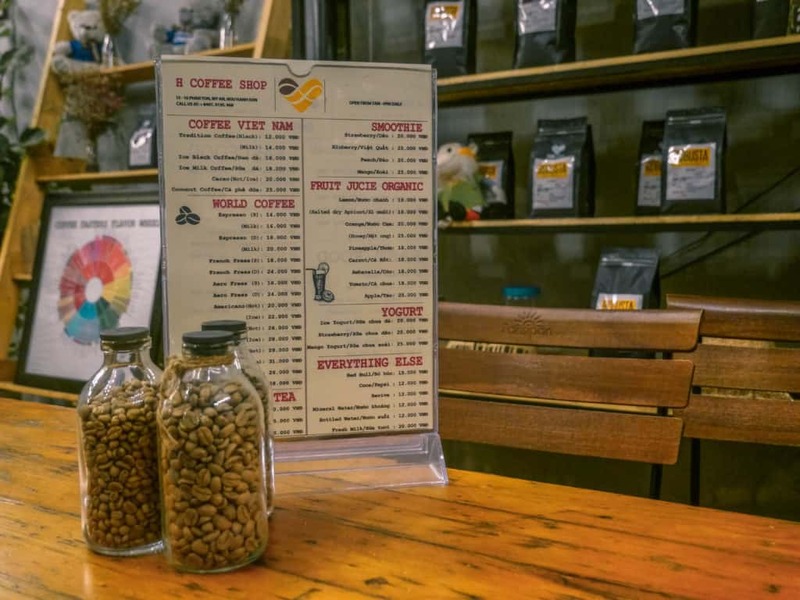 Another great thing is that you can get amazing presents for your coffee loving friends – unique origin coffee beans, honey made from coffee flowers and coffee phins (to make traditional Vietnamese coffee) among other things. 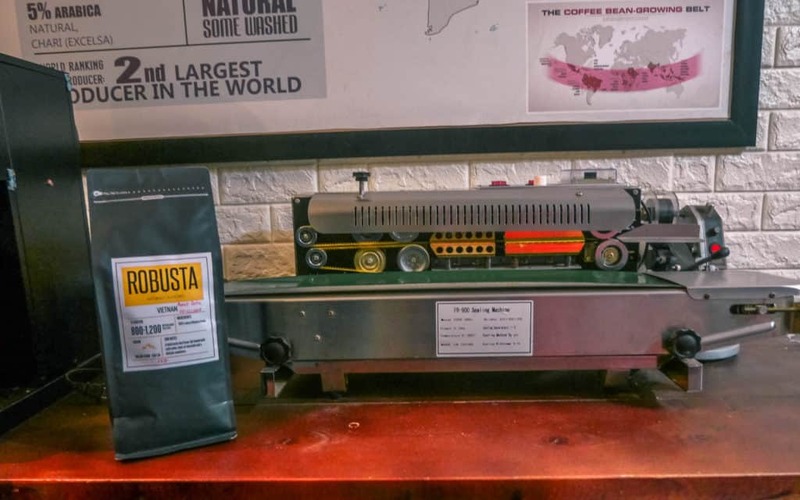 Where To Find Bazzan Farm And H Coffee In Vietnam? At the end of the interview Hung also shared a traditional Vietnamese coffee recipe. 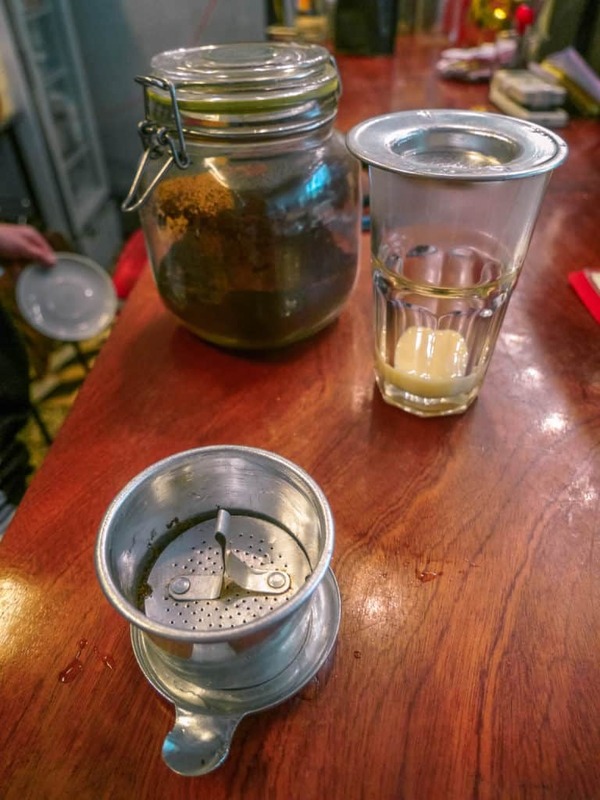 If you’ve always dreamt of making a Vietnamese coffee like a local, we’re happy to hereby make your dreams come true. Hung: Our Vietnamese Phin coffee filter is 6 ounces, but they come in different sizes depending on your coffee needs. Alternatively, you can use your French coffee press or your favorite drip coffee method. Step 1: Measure 3 teaspoons grounded coffee and distribute evenly into the filter. Take 14 gr for a light coffee, 20 gr – for a stronger caffeine kick. DO NOT shake the filter or compress the coffee, otherwise the coffee grounds will fall into the holes of the coffee filter and plug the holes! The result will be a permanent loss of coffee, or a base that can completely block the filter. Step 2: Place the metal filter gently on top of coffee. Step 3: Pour the amount of condensed milk you want into a heat-resistant glass or cup. Step 4: Measure 6 ounces of water near boiling (8 if you wanted a longer coffee). Step 5: With the filter placed on the glass, pour two tablespoons of hot water into the filter and wait for 5 seconds to "hatch" the coffee. Flowering is part of the brewing process when water releases CO2 from coffee, and the ground expands. Step 6: Lightly press on the filter to compress the expanded coffee. This helps slow down the dripping speed and makes the coffee more flavorful. With these steps, you will be able to achieve optimal incubation time. Step 7: Slowly pour the rest of the water into the filter and the coffee will start dripping into your glass or cup. Step 8: Wait about 5 minutes for the coffee to finish dripping! Remove the filter and stir to mix in condensed milk. Believe it or not, meeting Hung was one of our highlights visiting Danang, much more so than going to the famous Ba Na Hills attraction park. 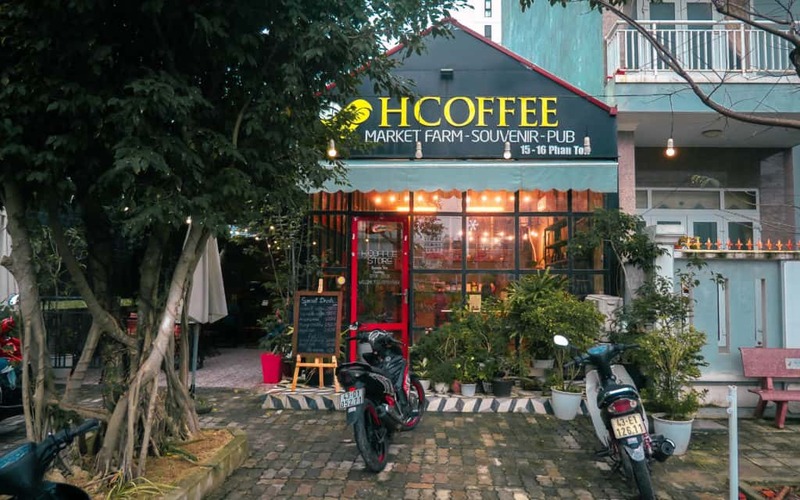 To us, the coffee we drank at H Coffee will always taste more special than any other coffee in Vietnam. 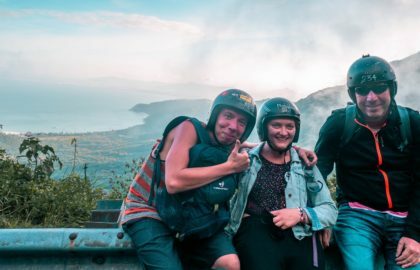 This is exactly why we love to meet the locals when we travel, make connections and hear different life stories. Makes the once completely foreign culture much more relatable and closer to heart. This kind of interactions renders the experience of visiting a place much more personal and contributes to stories to be retold for years to come. Struggling With Meeting New People? Unfortunately, David and I had to postpone our Bazzan Farm visit to the next time we’re in Vietnam due to a medical emergency (more on that some other time). If you go, please give the family our warmest regards! Wow! Who knew there was so much to know about coffee? Very thorough. Love this series! I totally understand that connection to your family’s farm, and how there really is that love and pride he talks about – even if you’re not the biggest consumer. There’s just something special about being able to feed (or in this case, caffeinate) people. Hung and his coffee shop and his forefathers are must be relatable. It is interesting to know this wonderful person and happy to know that you highlighted it and gave more attribute than going to Ba Na Hills attraction park. Thanks.